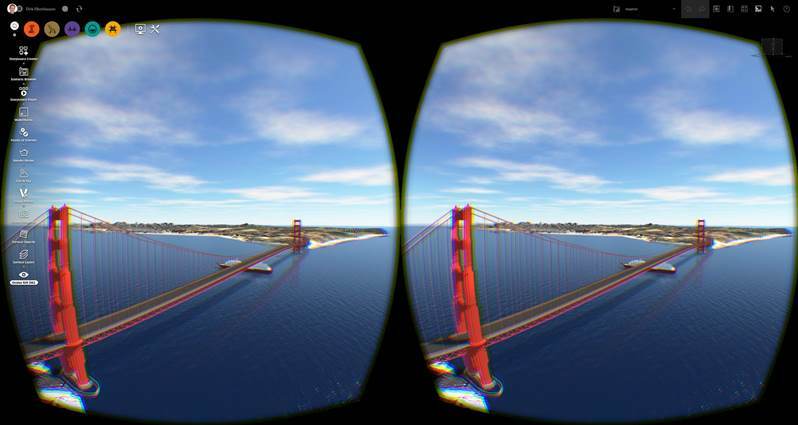 If you are like me and managed to get a pair of the developer kits for Oculus Rift DK2 and then found the support we had for it in InfraWorks360 was only for the DK1. It was a developer kit and Autodesk received its hardware at the same time as you would have. Now is the time to get them back out of the cupboard and use them with some more support and not just a screen that is next to your eyes. · Miscellaneous defect fixes and performance improvements. Join us for a webinar on Mar 11, 2015 at 9:00 AM PDT. Join us to hear about all things REAL 2015. What did we learn? What blew us away? What can we look forward to in the future? We'll wrap up the event and give you all the highlights. With the capability of AutoCAD and the Recap engine making using point clouds in AutoCAD a very easy and capable feature. However using more longer linear type point clouds, say that have been captured using mobile technology, my example below was captured by Topcon IPS2 equipment. Orbit of this long point cloud you can see in the video that is orbits around the centroid of the point cloud object and not at the cursor position. So changing this system variable ORBITAUTOTARGET and setting the value to 0, will change the pivot to the position of your cursor and is perfect for this use. As you might have noticed from some posts and the twitter feed that my new interest is around the capture of photographs to create a 3D model/scan. Especially using a UAV type device to get in the air and capture areas that are out of the line of sight from standing on the ground with your camera. Here is a short video on the process of using a UAV device, taking the images into Photo on Recap360 and using the output in AutoCAD Civil 3D, InfraWorks and Revit.